Ron Kelley is a petroleum engineer and Senior Reserve Analysis Rep for Enbridge, a midstream energy company in Calgary, Alberta with natural gas operations located in Houston, Texas. He has been with Enbridge, and predecessors, since 1983. He started as a staff reservoir engineer with Texas Eastern Corporation providing reserve evaluations and deliverability forecasts. 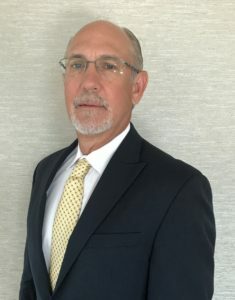 In 1990, he became Manager – Reserves for Trunkline Gas Company; in 1998, became Manager – Reserves, Gulf Coast for Duke Energy; in 2007 to February 2017, was Manager – Reserves & Market Analysis with Spectra Energy. He received a B.S. in Geological Engineering from the University of Missouri – Rolla in 1982. He is a member of SPE, AAPG and HGS and has been active in the PGC since 2005. He served as the PGC Secretary from 2013 to 2015 and was elected President in 2015. Stephen Hamburg is a retired petroleum engineer with 40 years of experience in oil and gas consulting and large oil company exploration and production. He has provided reserve and resource reports for US and international companies with fields in many oil and gas basins in the United States and globally. He received a B.S. in petroleum engineering from Colorado School of Mines in 1977, and an MBA from Tulane University in 1983. He is registered as a professional engineer in Texas and is a member of the SPE and the SPEE. Active with the PGC since 2003, he has managed the Atlantic area resource assessments including the Appalachian basin. Natalie Reagan is a petroleum engineer with Enterprise Products, a large midstream company in Houston, Texas. She is a member of the Fundamentals/Supply Appraisal group, which forecasts gas, oil and NGL’s for the entire U.S. and also provides detailed evaluations to support capital projects. She has worked for Enterprise and predecessor companies since 1990, and has prior E&P experience with Pogo Producing Company. She received a B.S. in petroleum engineering from Texas A&M, and an MBA from the University of Texas Permian Basin. She is a registered professional engineer in Texas and a member of SPE. She is past President of the PGC and has been an active member since 1994. 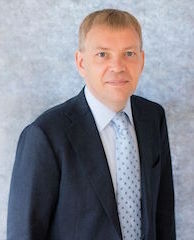 Dr. Alexei V. Milkov is a Full Professor and Director of Potential Gas Agency at Colorado School of Mines. After receiving Ph.D. from Texas A&M University (2001), Dr. Milkov worked for three E&P companies (BP, Sasol and Murphy Oil), explored for conventional and unconventional oil and gas in 30+ basins on six continents and participated in the discovery of >4 Billion BOE of petroleum resources. He has deep expertise in exploration risk analysis, resource assessments, petroleum systems and oil & gas geochemistry. Dr. Milkov has 140 publications (including 45 peer-reviewed articles) and received several industry awards for his contribution to petroleum geosciences. Alexei is active with the PGC since 2016. Alan Farquharson, Range Resources Corp.
Damon E. New, Drilling Info, Inc.
Corey Rhoden, Drilling Info, Inc. Note: Number in parentheses following member’s name indicates the number of biennial PGC reports to which the member has contributed. AARON, R. Michael (7): Strategy Analyst, TransCanada, Houston TX (2009-P); El Paso Corp., Houston TX (1999-2009); Columbia Gas Transmission, Houston TX (1982-98). Mbr. SPE. PGC Gulf Coast Area Comm. AVARY, Katharine Lee (2): Consulting Petroleum Geologist (2010-P); Retired, West Virginia Geological and Economic Survey, Morgantown WV (1979-2010); PGC Atlantic Area Comm. AVRA, Greg A. (5): Reservoir Supervisor – Reserves, Southwestern Energy Co., Houston TX (2009-P); Citation Oil & Gas Corp., Houston TX, Sr. Staff Resr. Engr. (2005-09); White Stone Energy LLC, Houston TX, Principal / VP Engineering (2002-05); Mitchell Energy Corp., The Woodlands TX, Staff Resr. Engr. (1997-02); HJ Gruy & Associates Inc., VP (1996-97), Sr. Resr. Engr. (1992-96), Petr. Consultant (1988-92); The Western Co. of N. America, Bryan / La Grange TX, Fld. Engr. (1987-88); Continental Laboratories, Houston TX / Offshore LA, Mudlogger (1987). Mbr. SPE, SPEE. Cert./Reg. Prof. Engr. Texas. PGC Co-Chmn. Mid-Continent Area Comm., Bd. Dir. BAUGH, Ronald A. (16): Associated Energy Consultants, LLC, Casper WY (1988-P); Assoc. in Geol., Casper WY (1978-88); Rung & George, Casper WY, Consulting Geol. (1974-78); Chen & Associates, Casper WY (1971-74); Retained by Monsanto Oil Co., WY (1979-84); Coastal Chem, Inc. (1989-94); Louisiana Land & Exploration (1992-P). Mbr. Wyo. Geol. Assn. (1st VP 1989, Pres. 1991), Wyo. Bd. Prof. Geol. (Chair 1997, V. Chair 1992-93), Natl. Assn. State Bds. Geol. (Pres. Elect 1994, Pres. 1995), AAPG, AIPG (Sec./Treas.-Wyo. 1986, VP-Wyo. 1987, Pres.-Wyo. 1988, Natl. Adv. Bd. 1989). Cert./Reg. : AIPG (CPG 4607), Wyo. Prof. Geol. (4). PGC V. Pres. Western Region, Bd. Dir., Rocky Mtn. Area Comm. BENNETT, Porter (5): Ponderosa Advisors, Evergreen CO; Bentek Energy LLC, Evergreen CO, President/CEO. PGC Observer. BROWN, M. Lance (8): Sr. Res. Geologist, Supply Appraisal, Enterprise Products, Houston TX (2004-P); El Paso Field Services, Houston TX, Sr. Res. Geol., Strategic Planning, Res. Gp. 1 (2002-04); Koch Exploration Co., Houston TX, Dev. Geol. (1997-2001); Koch Midstream Services, Houston TX, Geol., Gas Supply Appr. (1995-97); Koch Gateway Pipeline Co., Houston TX, Mgr. Supply Dev., Prod. Services (1994-95); United Gas Pipeline Co., Houston TX, Business Dev. Repr.-Gas Trans. (1984-90). Mbr. AAPG. PGC Co-Chmn. Mid-Continent Area Comm., Bd. Dir. BURGESS, Richard J. (24): Consultant, Jackson MI (1996-P); CMS NOMECO Oil & Gas Co., Jackson MI, V. Chmn. (1995-96); NOMECO Oil & Gas Co., Jackson MI, Pres. & CEO (1981-95), Exec. VP (1980-81), VP (1967-80); Consumers Power Co., Exec. Dir. Expl. (1967-80), Expl. Supvr. (1963-67); Panhandle Eastern Pipe Line Co., Geol. (1962); Plymouth Oil Co., Geol. (1960-61); Imperial Oil Ltd., Canada, Geol. (1954-60). Mbr. AAPG, GSA, Mich. Basin Geol. Soc., Mich. Oil & Gas Assn., Ontario Petr. Inst. Cert./Reg. : AAPG (CPG 462). PGC Bd. Dir., V. Chmn. Time & Site Comm., Tech. Adv., Past Pres., Past Chmn. Past North Central Area Comm. CANICH, Michael R. (14): Vice President, EQT Production, Pittsburgh PA (2004-P), Dir. Reserve Dev. (2000-04); Statoil Energy, Alexandria VA, Dir. Bus. Dev. (1996-2000); Eastern States Exploration Co., Snowshoe PA, Dist. Geol. (1990-96); Cabot Oil & Gas Corp., Pittsburgh PA, Geol. (1980-89), Charleston WV (1978-80); The Superior Oil Co., Houston TX, Geol. (1976-78). Mbr. AAPG. PGC Atlantic Area Comm. CARTER, Kristin M. (2): Assistant State Geologist, Pennsylvania Geological Survey, Pittsburgh (2001-P); Consulting Hydrogeologist (1993-2001). Mbr. AAPG/DEG, DPA, CPG #6265, Pittsburgh Geol. Society, Pittsburgh Assoc. of Petroleum Geologists. PGC Atlantic Area Comm. CATTO, Richard (5): Sr. Director-Client Services, IHS Energy Group LLC, Englewood CO. PGC Observer. CLINE, Scott B. (2): Lead Engineer, Internal Revenue Service, Rochester NY (1997-P); Hefner Corp., Oklahoma City OK (1986-96); Slawson Oil, Oklahoma City OK (1980-86); Union Texas Petroleum, Houston TX (1978-80); Gulf Oil (1976-78). Mbr. SPE. PGC Atlantic Area Comm. CROUCH, Jane R. (9): White Eagle Exploration Inc., Denver CO. Mbr. AAPL, Chmn. Subcomm. on Public Land Access. Cert./Reg. : Certified Professional Landman (CPL). PGC Observer. CROUCH, Marshall C., III (17): President, White Eagle Exploration Inc., Denver CO (1980-P); Oil & Gas Exploration & Production, Lakewood CO (1974-80); Kansas Nebraska Natural Gas Co., Lakewood CO, Chief Geol. (helped organize Expl. Dept.) (1972-74); Cardinal Petroleum, Denver CO, Expl. Geol. (1971-72); US Army (1968-71); Plains Exploration Co., Denver CO, Expl. Geol. (1967-68), Geol. Asst. (1964-67). Mbr. AAPG, Kans. Geol. Soc., RMAG, SIPES, SEPM, SPE, Wyo. Geol. Assn. PGC Bd. Dir., Rocky Mtn. Area Comm., Pacific Area Comm., Hon. Tech. Adv., Past V. Pres. Western Region, Past Chmn. Alaska Area Comm. CURTIS, John B. 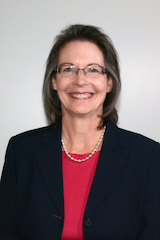 (14): Geomark, Denver CO; Director, Potential Gas Agency, Colorado School of Mines, Golden CO (1990-2016); Professor of Geology, Colorado School of Mines (1990-P); Consulting Geologist, Englewood CO (1988-90); Exlog/Brown & Ruth Laboratories, Englewood CO (1985-88); Columbia Gas System, Columbus OH (1980-85); Science Applications Inc., Morgantown WV (1977-80); Texaco Inc., New Orleans LA (1976-77). Mbr. AAPG, Geochem. Soc., Sigma Xi. Cert./Reg. : AIPG (CPG 4717). PGA Director. PGC Treas., Exec. Comm., Bd. Dir., Edit. Comm., Def. & Proc. Comm., Time & Site Comm. CUZELLA, Jerome J. (6): Geologist, BOPCO LP, Parker CO (2010-P); Enduring Resources, Denver CO, Sr. Geol. (2007-09); Anadarko Petroleum Corp. (formerly Kerr McGee Corp., Westport Resources), Denver CO (2003-07); Redstone Resources Inc. Denver CO, VP-Geology (2002-03); Anderson Oil Co., Englewood CO, Geol. (1995-2002); Consulting Geol., Denver, CO (1992-95); NCRA, Denver CO, Sr. Staff Geol (1985-91); Anadarko Production Co., Englewood, CO, Sr. Expl. Geol., (1981-85); US Dept. Interior, Denver CO, Geol. (1980-81); Amoco International Oil Co., Houston TX, Geol., (1978-80); Sargent & Lundy Engr., Geol., (1973-78); Mbr. AAPG, GSA, RMAG, SEPM, AEG, AIPG, Utah Geol. Assn. Cert./Reg. : Prof. Geol. (Wyo. 303; Ill. 196-000144; Utah 5359991-2250). PGC Rocky Mtn. Area Comm. DARDEN, Thomas F. (11): CEO, Wolfcamp Water Partners, Dallas TX; Chairman, Quicksilver Resources Inc., Houston TX; Pres., Mercury Exploration Co., Gaylord MI. PGC Observer. DECKER, Michael K. (14): Executive Vice President & COO, Badlands Energy Inc. (formerly Gasco Energy Inc.), Denver CO (2001-P); Pres., Black Diamond Energy LLC (1999-P); Prima Oil & Gas Co., Denver CO, VP-Exploitation, (1994-99), Exploitation Mgr. (1990-94); Bonneville Fuels Corp., Sr. Geol. (1988-90); Tenneco Oil Co., Lafayette LA, Denver CO, Sr. Proj. Geol. Engr. (1977-88). Mbr. AAPG, Wyoming Geol. Soc., RMAG, SPWLA. Cert./Reg. : Wyo. Prof. Geol. (1974), Lic. Utah Prof. Geol. Western Energy Alliance Bd. Dir. PGC Bd. Dir., Rocky Mtn. Area Comm., Def. & Proc. Comm., Time & Site Comm., Past Pres., Past Exec. Comm., Past Chmn. Bd. Dir., Past Edit. Comm. D’EPAGNIER, Linda W. (11): Retired; Administrative Manager, Potential Gas Agency, Colo. School of Mines, Golden CO (1996-2016). PGC Bd. Dir., Website Comm. DOUDS, Ashley (2): PGC Atlantic Area Committee. DWIGHT, Kenneth H. (16): Consultant, T.J. Smith and Associates, Houston TX (2003-P); Pres., Kenneth H. Dwight, P.E., Houston TX (2001-P); El Paso Field Services, El Paso TX, Mgr. Resr. Engr. (1992-2001), Cons. Resr. Engr.-Bus. Dev. (1991-92), Cons. Resr. Engr. (1988-91), Sr. Resr. Engr. (1981-88), Resr. Engr. (1979-81); Phelps-Dodge Copper Refinery Inc., El Paso TX (1973-79). Mbr. AIME, El Paso Geol. Soc., Mid-Cont. Oil & Gas Assn., SPE. Cert./Reg. : Texas Prof. Engr. (59369). PGC Mid-Continent Area Comm., Past Chmn. Mid-Continent Area Comm., Past Bd. Dir., Past Secretary, Past Website Comm. FARQUHARSON, Alan (3): Sr. Vice President-Reservoir Engineer, Range Resources Corp., Fort Worth TX. PGC Observer. GIERHART, Roger (11): Consultant, Houston TX (2009-P); BP Amoco, Houston TX, Denver CO, Casper WY, Oklahoma City OK, Tulsa OK, Calgary AB, Petr. Resr. Engr. (1975-2009). Mbr. SPE. PGC Rocky Mtn. Area Comm. HAMBURG, Stephen M. (8): Retired; Vice President, Petroleum Engr., Miller and Lents Ltd., Houston TX (2000-2017); Petr. Engr. Consultant, Houston TX (1999-2000); T.J. Smith & Co. Inc., Houston TX, Petr. Engr. (1999); Shell Oil Co., New Orleans LA, Houston TX, Staff Resr./Petrophys. Engr. (1977-98); Texaco, Long Beach CA, Engr. Asst. (1976). PGC V. Pres. Eastern Region, Chmn. Atlantic Area Comm., Bd. Dir. HARRINGTON, Carrie (2): QEP Resources Inc., Denver CO (2013-P); PGC Rocky Mtn. Area Comm Chair; Shell Oil and Gas, Denver CO (2009-2013); ExxonMobil, Houston TX (2000-2009). HAUN, John D. (25): Consultant, Evergreen CO (1990-P); Barlow and Haun Inc. (1957-90); Colo. School of Mines, Golden CO, Professor Emer. (1985-P), Prof. Petr. Geol. (1955-85); Petroleum Res. Corp., VP (1952-57); Stanolind (Amoco), Geol. Party Chief (1951-52). Mbr. AAPG (Pres. 1979-80), American Geol. Inst. (VP 1980-81, Pres. 1981-82), AIPG (Pres. 1976), GSA (Fellow), Natl. Petr. Cncl., RMAG (Pres. 1968), SEPM, Commissioner Colo. Oil & Gas Conserv. Comm. (1977-87, Chmn. 1985-87). Cert./Reg. : AIPG (CPG 136). PGC Tech. Adv., Bd. Dir., Chmn. Comm. on Def. & Proc., Edit. Comm., Rocky Mtn. Area Comm. HAWK, David H. (21): Owner, E2A Energy Analysis and Answers, Boise ID (2007-P); J.R. Simplot Co., Boise ID, Dir., Energy Nat. Res. (1984-P); Horn Resources Corp., Denver CO, Sr. VP (1984-2007); Sundance Oil Co., Denver CO, VP-Expl. (1980-81); IGC Production Co., VP, Gen. Mgr. ; Intermountain Gas Co., Boise ID, Mgr. E&P (1977-80); Nat. Res. Advisor (1973-76); Tenneco Oil Co., Denver CO, Expl. Geol. (1972-73); Atlantic Richfield, Dallas TX, Lafayette LA, Expl. Geol. (1970-72); Lecturer at numerous natl. energy symposia. Mbr. AAPG (EMD), Idaho Assn. Prof. Geol., RMAG, Certified Petroleum Geologist. PGC Rocky Mtn. Area Comm. HECK,Thomas J. (14): Div. Geologist, XTO Energy Inc. Fort Worth, TX and Denver, CO (2007-P); Consulting Geologist, Arvada, CO (2004-2007); North Dakota Geological Survey, Bismarck, ND (1989-2004); Cons.Geol., Grand Forks, ND (1987-1989); Conoco, Inc. Geologist, (1979-1987); Mbr. AAPG, RMAG, Cert./Reg. : Wyo. Prof. Geol. (1170). PGC Rocky Mtn. Area Comm. JENKINS, J. Scott (17): Manager-Supply Appraisal, Enterprise Products Partners, Houston TX (2003-P); El Paso Corp., Houston TX, Mgr. Supply Appr., Eastern Pipeline Gp. (2001-04); ANR Pipeline Co., Houston TX, Dir., Supply Appr. (1984-2001), Mgr., Gas Supply Geol., Mgr., Area Geol., Sr. Geol., Staff Geol., Geol. (1974-96). Mbr. AAPG, Houston Geol. Soc. Cert./Reg. : AAPG (CPG). PGC Gulf Coast Area Comm., Edit. Comm., Past Chmn. Bd. Dir., Past Comm. on Def. & Proc., Past Chmn. Edit. Comm., Past Pres. JOHNSTON, Timothy (4): Executive Vice President and Chief Strategy Officer, Summit Utilities, Inc., Littleton CO (1996-P); Greeley Gas Co., Greeley CO, Sr. Engr. (1985-95); MAPCO Inc., Tulsa OK, Process Engr. (1981-85). PGC Repr.-Natural Gas Distributors. KELLEY, Ronald J. (6): Petroleum Engineer and Senior Reserve Analysis Rep, Enbridge, Houston TX (2017-P); Manager-Reserves & Market Analysis, Spectra Energy, Houston TX (2006-2017); Duke Energy, Houston TX (1999-2006), Mgr. Reserves; Trunkline Gas Co. Houston TX, Mgr. Reserves (1990-98); Texas Eastern Transmission Corp. Houston TX, Staff Engr. (1983-89). Mbr. AAPG, SPE, Houston Geol. Soc. PGC Pres./Gen. Chmn., Secretary, Bd. Dir., Gulf Coast Comm. KUUSKRAA, Vello A. (6): President, Advanced Resources International, Inc., Arlington VA (1991-P); ICF Resources, Fairfax VA, Chmn. of the Bd., Dir. (1987-91); Lewin & Associates, Washington DC, Exec. VP (1970-87); Fry Consultants, Washington DC, Consultant (1968-70); US Army, Washington DC, Capt. (1966-68); Standard Oil of California, Financial Analyst (1965-66). PGC Observer, Past Atlantic Area Comm. LANG, Robert V. (14): Independent Petroleum Consultant, Calgary AB Canada (1991-P); Gulf Canada Res. Ltd. Calgary AB (1965-91), Coord., Res. Mgmt., Prod. Oper., Resr. Engr., Reserves, Dev. Plan., Prop. Acq., Divest., Res. Mgmt. Mbr. Canadian Petr. Assn. (Chmn., Res. Comm. ), Canadian Assn. Petr. Prod., Petroleum Soc. of CIM, Assn. Prof. Engrs., Geologists, and Geophysicists of Alberta. PGC Observer (former Canadian Gas Potential Comm.). LONGMAN, Mark W. (4): Sr. Staff Geologist, QEP Resources Inc., Denver CO (2006-P), Consulting Geologist, Denver CO (1984-2006); Buttercup Energy, Golden CO, Geol. (1983-84); Coastal Oil and Gas Corp., Geol. (1981-82); Cities Service Co., Tulsa OK, Research Geol. (1976-81). Mbr. AAPG, RMAG, SEPM. PGC Rocky Mtn. Area Comm. MATHENY, J. Paul (6): Consultant, Steamboat Springs CO (2012-P); Vice Pres., QEP Resources Inc., Denver CO (1982-90, 1997-2012), Ampolex, USA, Denver CO, Sr. Geol. (1990-97); Gulf Oil, Midland TX, Geol. (1980-82). Mbr. AAPG, RMAG. PGC Observer. McCONATY, Brady J. (9): President, Yankee Creek Oil Company, Houston, TX (2016-P), SVP Operations Tabula Rasa Partners, Houston, TX (2010-16); Merrimac Oil & Gas, Houston TX, Pres. (2000-10); Venoco, Inc., Houston TX, VP (2007-09); Tenneco Energy, Houston TX, Dir. PCS Project (1995-2000), Dir. Producer Team (1994-95), Mgr. Gas Supply Dev. & Dir. Gas Res. (1988-94), Arctic Engr./North Sea Prod. Engr. (1985-88), Drilling Engr./Prod. Engr. Joint Opns., Lafayette LA (1978-85). PGC Bd. Dir., Past Secretary, Past Observer. McGILL, Christopher B. (12): Vice-President-Policy Analysis, American Gas Association, Washington DC (2012-P), Managing Dir.-Policy Analysis (2000-12), Mgr./Dir.-Gas Supply and Statistics (1988-2000); Marsh Operating Co., Amarillo TX, Geol. (1983-86); Consolidated Gas Supply Corp., Clarksburg WV, Geol. (1979-82); Texaco Inc., New Orleans LA, Offshore Geol. (1978-79). Mbr. AAPG, ASAE, Houston Geol. Soc. PGC Bd. Dir., Repr.-American Gas Association. MENELEY, Robert A. (4): Independent Consultant, Vancouver, BC Canada. PGC Observer (former Canadian Gas Potential Comm.). MILKOV, Alexei V. (1): Director, Potential Gas Agency, Colorado School of Mines, Golden CO (2016-P); Professor, Colorado School of Mines (2016-P); New Ventures Manager, Murphy Oil, Houston TX (2015); Exploration Technical Manager, Johannesburg, South Africa (2012-2014); Geoscientist, BP, Houston TX and Moscow, Russia (2003-2012). Mbr. AAPG. PGA Director. PGC Treas., Exec. Comm., Bd. Dir., Edit. Comm., Def. & Proc. Comm., Time & Site Comm., Web. Comm. NEW, Damon E. (5): Director-HPDI Products, Drilling Info, Inc., Austin TX (1999-P); Scurlock Permian, Engrg. Asst., (1996-99). PGC Website Comm., Observer. PATCHEN, Douglas G. (12): Retired Chief Geologist, West Virginia Geological and Economic Survey, Morgantown WV (1966-2009); National Research Center for Coal & Energy, W. Va. Univ., Morgantown WV, Prog. Coord., Dir. Res. Extraction Div. (1990-P). Mbr. AAPG. PGC Atlantic Area Comm. PERRY, Kent (9): Research Partnership to Secure Energy for America (REPSEA), Sugar Land, TX (2012-P); Gas Technology Inst, Des Plaines IL. PGC Observer. PETERSON, Joseph B. (4): Asst. Field Manager, U.S. Bur. of Land Management, Amarillo TX. PGC Observer. PETERSON, Kristine M. (8): Geologist, Laramide Geosciences, Littleton CO (2007-P); Petroleum Consultant, Denver CO (1987-2007); Ensource Inc., Denver CO, Geol. (1982-87); Impel Energy, Denver CO, Geol. (1979-82); Wise Oil Co., Denver CO, Geol. (1979-82); NANDRF, Denver CO, Geol. (1977-78); US Geological Survey, Denver CO, Lab Tech. (1975-77). Mbr. AAPG, Denver Intl. Petroleum Soc., Denver Well Log Soc., Kansas Geol. Soc., RMAG. PGC North Central Area Comm. Past Mid-Continent Area Comm. PIERCE, Darrell L. (15): Sr. Director-Corporate Reserves, DCP Midstream LP, Houston TX (2006-13); Duke Energy Field Services LP, Houston TX, Gen. Mgr. Res. Svcs., (2004-06); Duke Energy Corp., Houston TX, VP-Corp. Reserves (1995-2004); Texas East. Trans. Corp., Mgr., Reserves (1988-95), Supvr., Reserves (1987-88), Sr. Geol., Supply Plan. (1986-87); Texas Eastern Bawean Inc., Indonesia, Proj. Lead., E&P Gp. (1985-86); Texas Eastern Exploration Co., Houston TX, Sr. Geol., E&P Gp. (1980-85); Amoco International Oil Co., Houston TX, Prof. Asst. (1978-80); Superior Oil Co., Houston TX, Res. Tech. (1976-78). Mbr. AAPG, Corpus Christi Geol. Soc., Houston Geol. Soc., SPE, SPEE, SPWLA, GRI Nat. Gas Supply & Prog. Exec., RPSEA Unconventional Resources Comm.. Cert./Reg. : AAPG (CPG 4135), Texas Bd. Prof. Geoscientists (918). PGC Mid-Continent Area Comm., Edit. Comm., Past Pres., Gen. Chmn., Past Chmn. Bd. Dir., Past Chmn. Mid-Continent Area Comm. PIETERS, Dennis A. (4): Sr. Staff Reservoir Engineer, Citation Oil & Gas, Houston TX (2011-P); Huber Energy LLC., Houston TX, Dir. Resr. Engrg. and Reserves (2008-11); ConocoPhillips, Houston TX, Res. Adv. (2005-08); Landmark Graphics, Houston TX, Principal Consultant (2003-05); Colorado School of Mines PhD Petroleum Engineering program, Golden CO (1999-2003); EOG, Houston TX, Sr. Proj. Engr. (1997-99); Shell Western E&P, Houston TX, Sr. Resr. Engr. (1992-97); Saudi Aramco, Dhahran, Saudi Arabia, Res. Simulation Engr. (1985-92); Amoco Production Co., Denver CO, Resr. Engr. (1980-85). PGC Gulf Coast Area Comm.-Onshore. RASMUSSEN, Donald L. (14): President, Paradox Basin Data, Longmont CO (1986-P); Davis Oil Co., Geol. (1979-85); Amoco, Denver CO, Geol. (1974-79); Pan American Petroleum Corp., New Orleans LA, Geol. (1966-70). Mbr. AAPG, GSA, RMAG, RMS-SEPM, Wyoming PG (PG-1991). PGC Rocky Mtn. Area Comm. REAGAN, Natalie H. (12): Principal Petroleum Engineer, Enterprise Products Partners, Houston TX (2005-P); Duke Energy Corp., Houston TX, Princ. Petr. Engr. (1990-2005); Petr. Engr., Midland TX (1987-89); Pogo Prod. Co., Houston TX, Res. Engr. (1982-87), Petr. Engr. (1980-82). Mbr. Houston Geol. Soc., SPE. PGC Chrm. Bd., Pres./Gen. Chmn., Bd. Dir., Past V. Pres. Eastern Region, Chmn. North Central Area Comm., Mid-Continent Area Comm. REIF, Douglas (2): PGC Atlantic Area Comm. RIGATTI, Vincent (3): QEP Resources Inc., Denver CO. PGC Rocky Mtn. Area Comm. 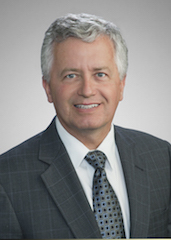 RITTER, John E. (7): Geologist/Reserves Mgr., ChevronTexaco, Houston TX (1999-P), Project Mgr. (1996-P), Exploration Mgr., White Plains NY (1995-96), Copenhagen (1993-95), London; Geologist, New Orleans LA (1981-91). Mbr. AAPG, Houston Geol. Soc., SPE. PGC Tech. Advisor, Observer, Past Gulf Coast Area Comm. ROTHMAN, Edward (2): PGC Atlantic Area Comm. SCHWOCHOW, Stephen D. (13): Geological Consultant/Editor, Golden CO (1994-P); Inst. for Energy Resource Studies, Colorado School of Mines, Asst. Dir. (1985-94); Colorado Geological Survey, Denver CO, Sr. Geol. (1973-84); US Geological Survey, Denver CO (1972-73). Mbr. SME, SPE. Cert./Reg. : AIPG (CPG 7355), Wyo. Prof. Geol. (1685). PGC Edit. Comm., Chmn. & Technical Editor; Bd. Dir., Past Rocky Mtn. Area Comm., Past V. Chmn. Coalbed Gas Work Comm. SEMETKO, Daniel M. (15): Upstream Strategic Planning Specialist, Enbridge Energy, Houston TX (2015-P); Enterprise Products Partners, Houston TX, Sr. Geol. (2004-14); El Paso Corp, Houston TX, Sr. Geol. (2001-04); ANR Pipeline Co., Houston TX, Sr. Geol., Staff Geol., Geol. (1979-2001). Mbr. AAPG, A.G.A. (Comm. Nat. Gas Res. ), GRI Nat. Gas Supply, Houston Geol. Soc. Cert./Reg. AAPG (CPG 5731), Texas Bd. of Prof. Geoscientists (1675). PGC Co-Chmn. Gulf Coast Area Comm.-Offshore, Mid-Continent Area Comm . Bd. Dir. SHANER, Lynn A. (9): Sr. Staff Reservoir Engineer, Enterprise Products Partners, Houston TX (2004-P); El Paso Field Services, Houston TX, Prin. Resr. Engr. (1996-2004), Cons. Resr. Engr. (1994-96), Sr. Resr. Engr. (1987-94), Resr. Engr. (1984-87), Assoc. Engr. (1982-84); Texas Instruments, Staff Seismologist (1974-79). Mbr. AAPG, SPE. PGC Rocky Mtn. Area Comm. SONNENBERG, Stephen A. (2): Professor of Geology, Colorado School of Mines, Golden CO. PGC Rocky Mtn. Area Comm. STELZER, William T. (14): Geological Consultant, Lansing MI (2002-P); Patrick Petroleum, Jackson MI, Expl. Mgr. (1998-2002), Sr. VP, Expl. Mgr. (1990-98); Dominion Expl. Co., Lansing MI, Expl. Mgr. (1983-90); Dart Oil & Gas Corp., Mason MI, Expl. Mgr. (1981-83); Hunt Energy Corp., Lansing MI, Dist. Mgr. (1976-81); Texaco Inc., Midland TX, various geol. positions, Dist. Geol. (1969-76); US Army, 1st Lt. (1967-69). Mbr. AAPG, Michigan Basin Geol. Soc. (Delegate Alternate), Michigan Oil & Gas Assn. (Bd. Dir. ), West Texas Geol. Soc. PGC North Central Area Comm. STERLING, Robert H., Jr. (15): Sr. VP Geoscience, Confluence Resources LP, Denver CO (2016-P); Sr. Geologist, Cirque Resources, Denver CO (2007-P); EOG Resources Inc., Denver CO (1995-2007); Nahama & Weagant, Bakersfield CA, VP-Expl. (1986-94); Challenger Minerals Inc., Bakersfield CA, Dist. Geol. (1983-86); ARGO Petr. Corp., Santa Monica CA, Expl. Geol. (1980-83). Mbr. AAPG, Calif. Indep. Petr. Assn. (Dir. ), San Joaquin Geol. Soc. Cert./Reg. : Calif. Reg. Geol. (4266). PGC Chmn. Pacific Area Comm., Bd. Dir. SULLIVAN, Kevin J. (6): Ranatassee Resources, LLC, Traverse City MI (2012-P); Chevron (AMBU), Traverse City MI, Tech. Team Lead–Geology (2011-12); Atlas Gas & Oil Co. LLC, Traverse City MI, Mgr. Geol. & Bus. Dev. (2010-11), Sr. Geol. (2007-11); DTE Gas & Oil Co., Traverse City MI, Sr. Geol. (2002-07); Consulting Geologist, Traverse City MI (1998-2002); Miller Oil Corp., Traverse City MI, Sr. Geol. (1985-97). Mbr. AAPG, Mich. Basin Geol. Soc. Cert./Reg. : AAPG (CPG 5238). PGC North Central Area Comm. TINKER, Scott W. (8): Director, Bureau of Economic Geology, University of Texas at Austin. PGC Observer. TROUSIL, Paul M. (8): Consultant, Supply and Project Evaluation, Kinder Morgan, Inc., Colorado Springs CO (2013-P); El Paso Western Pipelines, El Paso Corp., Princ. Engr., Facility Plan./Supply Analysis, Colorado Springs CO (2001-13); Colorado Interstate Gas Co., Colorado Springs CO, Mgr., Staff Engr., Prod. & Storage (1990-2001); Gas Research Institute, Chicago IL, Proj. Mgr. (1988-90); Pennzoil E&P Co., Bradford PA, Petr. Engr. (1984-87). Mbr. SPE. PGC Rocky Mtn. Area Comm. WHITWORTH, Rick (3), Vice President, Boardwalk Pipeline Partners, Houston TX. PGC Observer. WIGAL, James M. (20): Independent Geologist, Pittsburgh PA (2012-P); Appalachian Geologic Inc., Pittsburgh PA (1990-2012); Adobe Resources Corp., Pittsburgh PA, Dist. Expl. Mgr. (1981-90); Peoples Natural Gas Co., Geol./Geoph./Expl. Mgr. (1975-81); US Dept. of Energy/Bur. of Mines, Morgantown WV, Geol. (1974-75). Mbr. AAPG, Geophysical Soc. of Pittsburgh, Pittsburgh Assn. Petr. Geol., Pittsburgh Geol. Soc., SPWLA. PGC Atlantic Area Comm. WILLIS, Raymond E. (11): Principal Geologist, Enterprise Products Partners, Houston TX (2004-P); El Paso Field Services, Houston TX (2000-04); Koch Industries, Houston TX, Sr. Geol. (1992-2001); United Gas Pipe Line, Houston TX, Sr. Geol. (1981-92). PGC Co-Chmn. Gulf Coast Area Comm.-Onshore, Bd. Dir. WINSLOW, Donald (2): Gas Market Analysis, Chevron Gas & Midstream, San Ramon CA. PGC Observer.